Before I went to St. Lucia this time, someone said to me, they had no wish to see that island. Well, St. Lucia isn’t to be “seen”. It is to be experienced in a way beyond what your eyes can give you. This was my fourth visit to the island, and I surely will go back again. Even though it is far in the southern Caribbean, and so one of the more distant islands, St. Lucia is well worth the trip. There is something about the St. Lucian people that is so very friendly and accommodating. There is always a smile and a friendly greeting. I have been to many islands over the past twenty-five years, but none calls to me like St. Lucia. It is the best of places to heal the soul. Island holidays are not for everyone I know, but St. Lucia offers a great deal: scuba diving, snorkeling, hiking, biking, sailing, and all kinds of water sports—water skiing, jet skiing and the like. There are a botanical garden and sulfur springs from the volcano to explore, and evening dinner cruises, as well as cruises out to other islands! 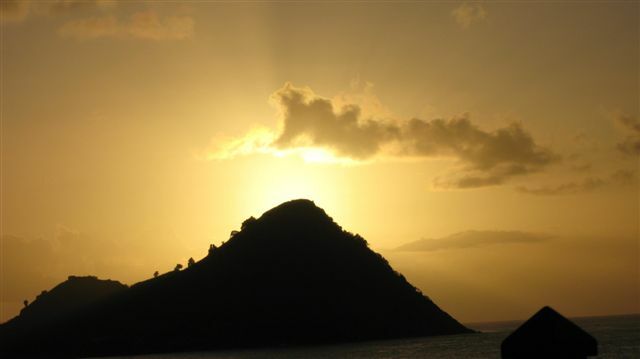 St. Lucia is home to many places of quiet beauty. And this I like! The island is mountainous from all its past volcanic activity, and most of the hillsides are a luscious green. You always find yourself either high up on a mountain looking down, or down on the beach looking up at rocky crags. Either way the views are spectacular. Many of the Caribbean islands are coral reefs and therefore very flat and dry. 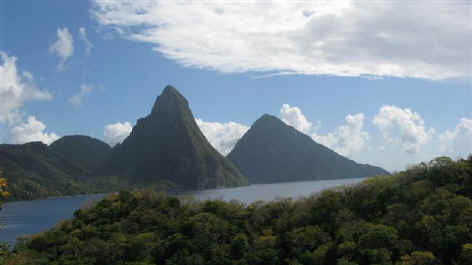 St. Lucia on the other hand is a tropical rain forest. 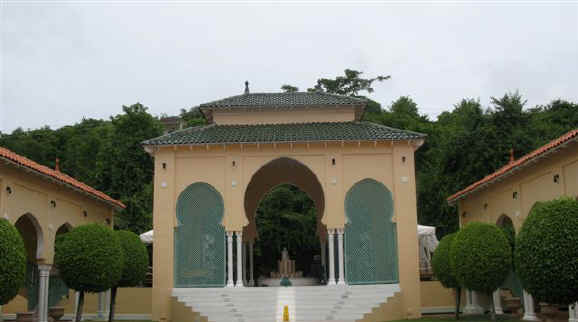 St. Lucia's wonderfully unique character comes from its history (see https://en.wikipedia.org/wiki/Saint_Lucia for more details). The Carib were its first inhabitants; when the Europeans took over, control of the island was traded back and forth between the French and English—fourteen times! Finally it became an independent state in 1979. As a result of all these political changes, there is a lot of French and English in the Creole language. I am in the habit of often saying, “Merci—and in St. Lucia people often respond, “ Oh! You speak Creole!" St. Lucia seems to combine the best of the three cultures. Easy going French, organized British, great food, and a stable, local government. And since tourism is down a bit due to the economy, there are some great travel bargains going on now. This is certainly the time to plan! In no particular order, here are my ten favorite small, boutique resorts in St. Lucia. They have a variety of price tags, accommodations, and amenities. Some have lots of activities, and others are very quiet. A few are all-inclusive, and some have a meal plan. These resorts are family owned, some by local residents. I will include some websites here so you can find more information and pictures. 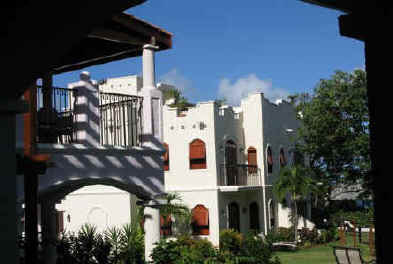 Cap Maison is a Mediterranean-looking, upscale family resort with a variety of accommodations. 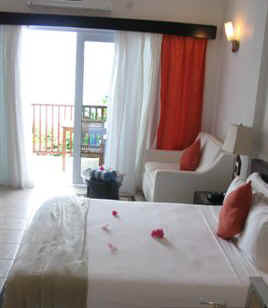 You can choose from a multi-room suite with a plunge pool or a sngle, quiet room. Cap Maison boasts a great restaurant (though it’s a bit pricey)—and the best massage therapist I ever had, Julian! The East Winds Inn offers 30 very small rooms, plus some all inclusive, duplex cottages. 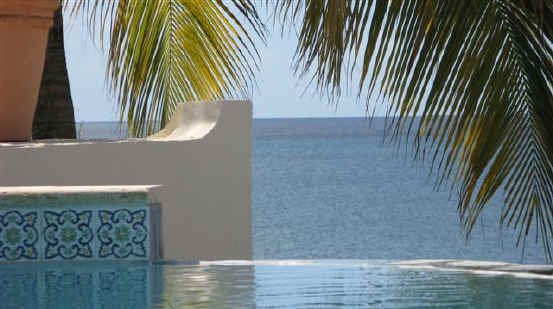 It is a very quiet place with a wonderful restaurant and fine service; easy access to the pool and beach. There are non-motorized water sports and land games like shuffle board. Le Sport Spa – Body Holiday is Probably one of the best buys on the island, not for everyone but for most! All-inclusive packages, with daily spa treatments, motorized water sports, land sport options like golf, archery, beach or pool volleyball, and water aerobics. Offers single pricing. Ladera … One of the most unique luxury properties in the Caribbean. With only 32 suites, its fourth wall is missing, providing a dramatic view of the sea between the pitons. There is access to the beach via a van to Sugar Beach, as well as a renowned outdoor restaurant. All rooms have plunge pools. Larger suites have been added recently. Packages with Cap Maison. Anse Chastanet . 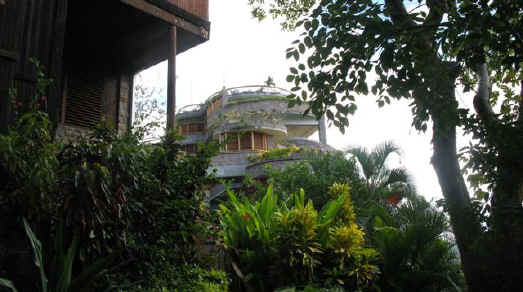 . . A casual hillside resort with views of the pitons and some rooms with the fourth wall missing. 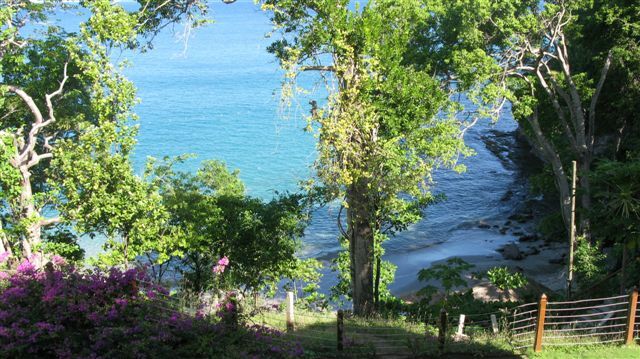 The property does not have a pool but a great gray beach and the best scuba/snorkeling on the island. Honeymooners love it! Jade Mountain sits Just above Anse Chastanet and shares the same owner. Jade Mountain is a luxury version of Anse Chastanet, again with its fourth wall missing. 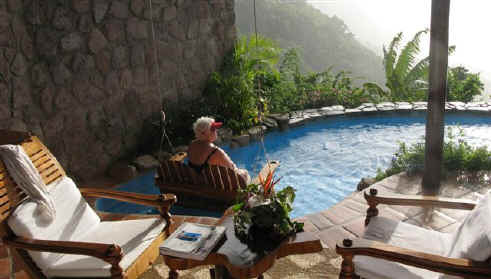 The rooms are very large and all boast plunge pools looking at the pitons. 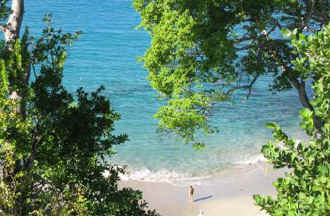 There is access to the Anse beach. Jade Mountain, though, does not share Anse's rainforest-y feeling. 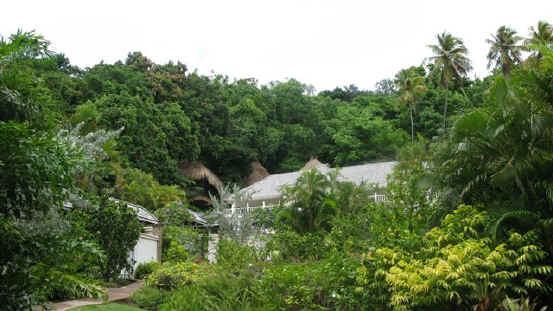 Stonefield Estates is a small, quiet resort nestled in lush foliage on a hillside. It features open air, private, rustic villas. 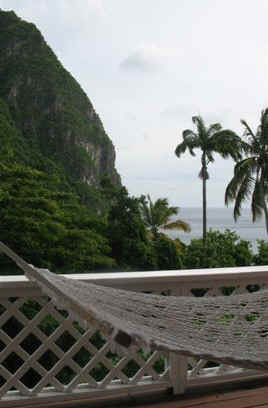 All the bedrooms have air conditioning, and their windows overlook views of the petit piton. Each bedroom has a plunge pool, and some villas have a full kitchens. There is access to Sugar Beach. Stonefield Estates is a great place to settle in for a long stay! I do recommend a car for this one. 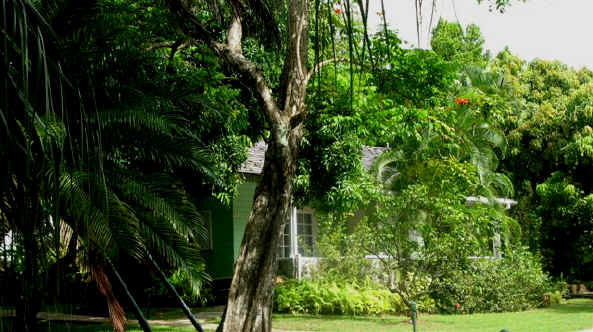 Sugar Beach … (formerly Jalousie Plantation) has been completely rebuilt during the past three years into a luxury spa. Its all-white décor might be off-putting to families, but the large, two bedroom suites offer lots of space. The beach is gentle, and the huge pool has more than enough seating. The resort in general is so big that it is easy to find your own space and get lost! 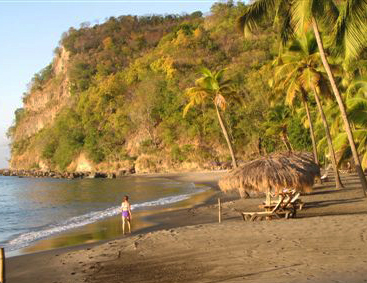 Calabash Cove… A new hillside resort with lots of steps and all the amenities of a luxury resort. Some of the rooms have direct access to an infinity pool from their patios. And there are oversized suites with Jacuzzi tubs! For evening entertainment Calabash Cove offers dancing, pool tables, and comfortable bars to make the evening glow! And finally we have: Rendezvous … An all-inclusive cousin resort to Le Sport, for couples only. Rendezvous is situated right on a long walking beach. The resort has recently been refurbished, though I, myself, have not seen the new version yet (hence, no picture). She is definitely quieter than her cousin, Le Sport!